The 9/11 attack was one of the most pivotal events in world history.On September 11, 2001, 19 militants associated with the Islamic extremist group Al-Qaeda hijacked four commercial jet planes and attempted to fly them into several U.S. targets. 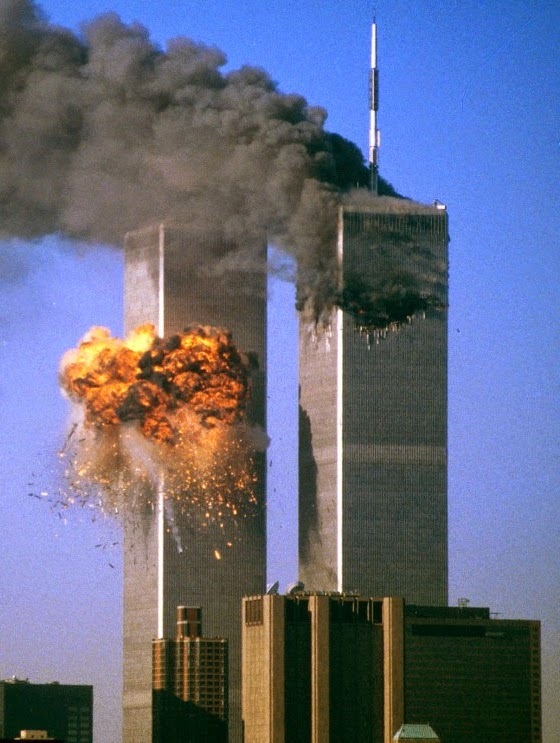 Two of the planes were flown into the towers of the World Trade Center in New York City, a third plane hit the Pentagon just outside Washington, D.C., and the fourth plane crashed in a field in Pennsylvania. Often referred to as 9/11, the attacks resulted in extensive death and destruction, triggering major U.S. initiatives to combat terrorism and defining the presidency of George W. Bush. Over 3,000 people were killed during the attacks in New York City and Washington, D.C., including more than 400 police officers and firefighters. On September 11, 2001, at 8:45 a.m. on a clear Tuesday morning, an American Airlines Boeing 767 loaded with 20,000 gallons of jet fuel crashed into the north tower of the world Trade center in the New York City. The impact left a gaping, burning hole near the 80th floor of the 110-story skyscraper, instantly killing hundreds of people and trapping hundreds more in higher floors. As the evacuation of the tower and its twin got underway, television cameras broadcaster live images of what initially appeared to be a freak accident. Then, 18 minutes after the first plane hit, a second Boeing 767–United Airlines Flight 175–appeared out of the sky, turned sharply toward the World Trade Center and sliced into the south tower near the 60th floor. The collision caused a massive explosion that showered burning debris over surrounding buildings and the streets below. America was under attack.This terrorist attack brought about the death of approximately 3,000 men, women and children from nations around the world.Only six people in the World Trade Center towers at the time of their collapse survived. Almost 10,000 others were treated for injuries, many severe. President George W Bush immediately called for all civilized nations to band together and fight terrorism. The military of the United States mobilized for war in an operation code named Enduring Freedom. The government declared Osama Bin Laden to be the main suspect and sent the military to fight him and his terrorist organization called Al Qaeda in Afghanistan. The military has been able to capture numerous leaders within the terrorist organization but has not been able to capture Bin Laden himself. A huge controversy arose when President Bush sent troops into Iraq on March 19, 2003 claiming that the country led by Saddam Hussein was developing weapons of mass destruction and aiding Al Qaeda operatives. As time passed and no evidence of those weapons were found in Iraq, many in America were upset by what they felt were unnecessary reasons to get involved in Iraq. Some argued that the Iraq War drew necessary attention away from the war in Afghanistan.